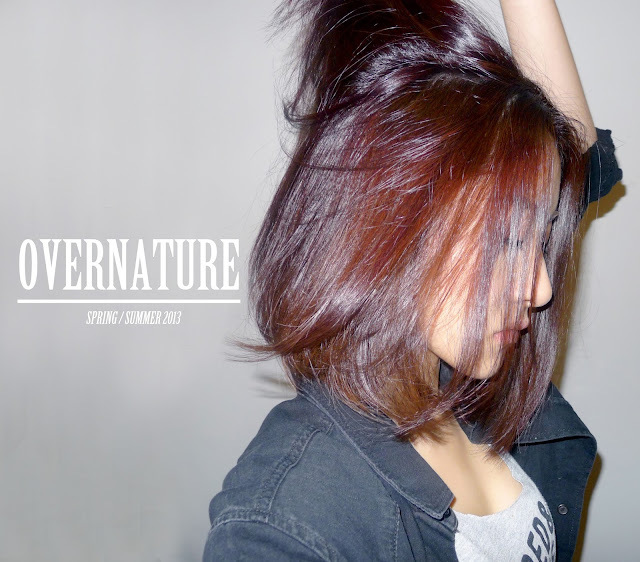 SALON VIM: OVERNATURE SS 2013 COLLECTION WITH L'OREAL - . As usual, did my monthly visit at Salom Vim. I look forward to every visit as my hairstylist, Ymond, he will introduce me what are their latest trends and hair do. So i'm trying Overnature SS 2013 hair colour collection by L'oreal. OVERNATURE collection is inspired the shape of leafs. Ymond chose Sophisticated Nature(Probably it suit my style) and he's being very informative and helpful which enlighten my doubts as this is my first time trying Overnature hair dye. I put all my trust in Ymond when comes to choice of colours because i totally clueless. 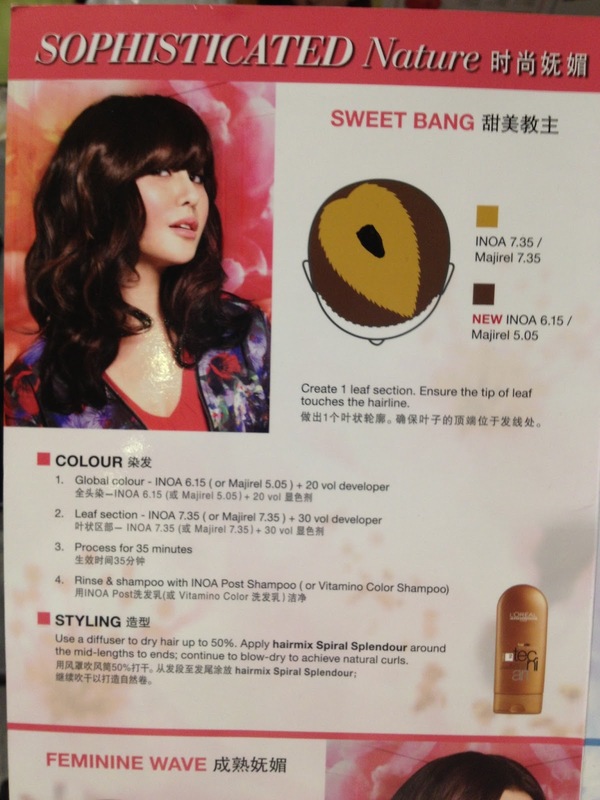 All this while, he knows i love healthy looking hair which he suggested to tone down my hair colours. Choice of colours makes a different life! i'm going darker and darker each time i visit Salon Vim! As i feel darker hair make you look healthier and more radiance skin tone. Oh no! Is it a sign of aging? Health has become my priority. During my ash brown hair and skinny days, people often mistaken me as a drug user. I look really pale and sick the whole time. Now, you totally have no idea how much i'm in love with dark coloured hair! Ymond selected a few colours for this look. 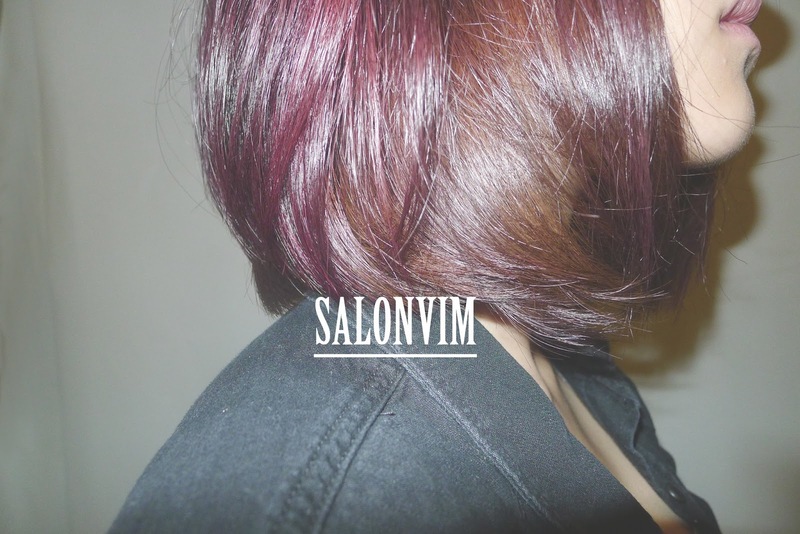 He chose purple redish 420 for the top part of my hair in which he section it in a leaf like shape. Then, for the rest of my hair he chose purple brown 702. And did a few highlights in magenda red. This way, you will see different colours when i flip my hair. Dry and fizzy ends simply spoil my day. How annoying. To maintain it's protain, I did Redken Chemistry hair treatment. Redken chemistry offers six "shots" that can be blended for truly personalized solutions. You might want to try Vim's Arirmino Privy for a more intense treatment. It's overwhelming! I wouldn't say which is better as both gives me silky soft and smoother hair. Read more here. You have no idea how please i was with the result. My hair feels as soft as cottons. I highly recommend Redken extreme range to often hair dryer user. These products re-nourish stress and tired hair. Also helps to prevent further damage and split ends.